Posted on February 15, 2018 by DrLax. As parents, we are barraged with this issue virtually on a daily basis. 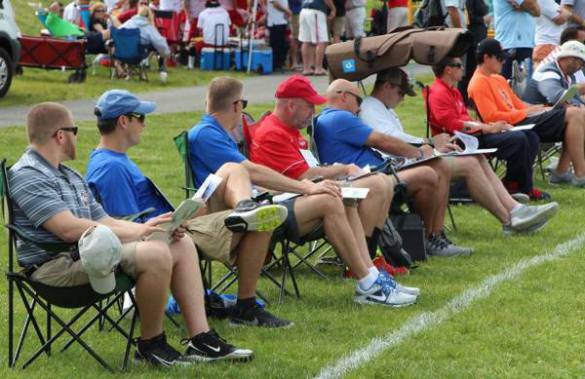 Whether it is an invite to create a profile on Captain U to get your kid’s name in front of college coaches or paying big money for college prospect camps, we are confronted with information overload when it comes to college lacrosse recruitment. Big money club teams that claim to have the reputation and relationships with college coaches to get your child noticed is another increasing reality of youth and high school lacrosse. This has become a big money industry that is lining the pockets of many, whiling costing parents a small fortune just to keep up. Are prospect camps and high end club teams worth the money and time commitment? When is the appropriate time to start all of this? In a recent interview my friend and co-host Steve Jordan and I recently had with Florida Tech Men’s Lacrosse Assistant Coach Mark Penn on our Lacrosse and Sport Podcast, we learned that the answer is not straight forward. I would encourage anyone interested in the college recruiting process to take a listen in the player above. Mark was very clear that all college lacrosse programs have access to tournament databases to send personalized e-mails to parents inviting them to camps and clinics billed as “prospect camps.” While they may be addressed seemingly directly from the head coach of that given program, according to Mark, unless you or your child has had direct correspondence with that coach, it is likely that he does not have any idea who your child is. That begs the next point, knowing that the head coach does not know your child, is it worth paying the money and travel to go to that school to try to get noticed by that coach? The answer Mark gave was not likely. Prior to prospect camps, coaches have already had multiple points of contact (directly or indirectly) with the players attending that they are most interested in and subsequently come into those camps with a heavy bias toward these players. On the other hand, if there has been legitimate outreach from a coach attending a prospect camp toward your child, knowing you are on his radar, it may well be worth attending. The main point here is, some level of correspondence being a big key in the worth of a given prospect camp. How about club teams? Are they worth it from a college recruiting perspective? Mark’s answer was maybe. Per Mark, your average tournament is not typically crawling with college lacrosse scouts looking for their next recruits. The main benefit in reality in playing club lacrosse in the end is getting better, playing at the highest possible level, and most importantly, having fun. Mark noted that there are some caveats to this, but generally, especially in emerging lacrosse markets like my home state of Florida, it is realistically only players that play on teams that play out of state from the Mid-Atlantic north that generally get legitimate notice from top tier college teams. The other caveat would be an in state team whose coach for whatever reasons may be well connected with college coaches and has the chops and reputation to get one of his players noticed. In the end, a player still needs to perform, as club coaches will not risk damaging their reputation and credibility in recommending players that are not legitimate candidates for a given college lacrosse program. Coach Mark Penn expanded on the podcast about many other nuances about the college lacrosse recruiting process from eye opening realities, to very helpful tips in fostering direct communication with college lacrosse coaches. There is much more information on this topic in the podcast that I am able to list here. As lacrosse club director, I left my conversation with Coach Mark Penn feeling a lot more capable of advising my players and parents. Still, there is no substitute for hearing it directly from a straight talking gentleman who recruits college players year in and year out for a living. Posted on January 23, 2018 by DrLax. Posted on January 14, 2018 by DrLax. Every year changes are made in the game of lacrosse in an attempt to continually improve the experience and growth of our beloved sport. Changes come primarily from US Lacrosse and occasionally from other governing bodies like the NCAA. Most of the time, changes end up being for the better. What spurred this initiative was reporting by the Sport and Fitness Industry Association that 2007 – 2014, the number of children aged 6-12 participating in traditional sports (baseball, basketball, football, soccer, softball, track and field) dropped precipitously from 35% to 27%. During the same time, the same study concluded that hockey participation grew by a stellar 43% (lacrosse during this time lacrosse grew by a more modest 29%). Looking to emulate the success of USA Hockey in shortening the size of the hockey rinks and goals for young lacrosse players led to the new small ball standard for maximizing development and enjoyment in the the sport of lacrosse. From the college recruiting side of lacrosse, we can look forward to a new era where young lacrosse players can enjoy the sport without the pressure of the college recruiting process. In a vote that went down last year, college coaches are now prohibited from making contact with players before September of their junior year of high school. In a college recruiting process that had players signing commitment letters as ridiculously early as 7th grade, this is a huge development. As already mentioned, this restriction facilitates unbridled enjoyment of the sport without the pressure of the college recruiting process that can be overwhelming to young athletes. It also evens the playing field for young athletes that are late bloomers that may have otherwise gotten passed over in the recruiting process simply because they needed more time to hit puberty. In girls and women’s lacrosse news for 2018, they will now be allowed to use lacrosse sticks with pockets strung with mesh. This will offer girls and women more variation in their preference for different pocket types that the boys and men’s game has enjoyed since the 1980’s. Lax.com has already begin selling girls and women’s lacrosse heads strung with custom mesh pockets for 2018. Posted on November 28, 2017 by DrLax. Having been associated with US Lacrosse for many years and having been appreciative of their guidance as they advocate for the growth of the sport of lacrosse, I understand how much time and research they put into their decisions. Thus, from the outset of this article, I want to be clear that I admire and respect US Lacrosse and appreciate their efforts and guidance. Many decisions are made for the greater good and will inevitably render some unwanted consequences. The US Lacrosse age segmentation policy effective 9/1/2017 is a clear example. US Lacrosse this year transitioned away this year for the under age categorization to an age and under categorization. 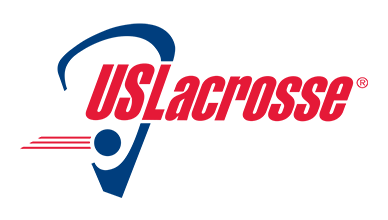 For example, the old U15 age bracket which would have represented players that were under the age of 15 as of the US Lacrosse cut off date of 8/31/2017 is now 14U with the new cut off date of 9/1/2017. Under the U15 categorization, 15 year old athletes could play youth ball provided that they turned 15 after the cut off date. In the 14U classification, 15 year old players are now eliminated from youth lacrosse eligibility. I understand the intent here, which is to establish age categories that correspond more closely with the grade most kids fall into in a given age bracket, and in the case of the 14U division, this generally prohibits any high school freshmen from participating in youth lacrosse, making 8th grade the final year that a player may participate in youth lacrosse. For long established lacrosse markets like my childhood state of New Jersey and other areas like New York, Maryland, etc., this does not generally present any challenges since most of these areas have thriving middle school, JV, and Varsity programs. However, in my adopted home state of Florida and particularly the Florida Space Coast where the sport is still very much in emerging market phase, we are facing difficulties at the 14U division and its enforcement. One of the most pressing concerns is that we have several counties that do not have middle school athletic teams and high school programs that do not have enough players to field JV teams. This translates to still prepubescent and/or still developmental freshmen either being promoted to varsity or not playing at all. Such a move puts such a player in physical danger often pitting a young player who is essentially a boy or girl against young men or women. It also stifles lacrosse skill development for players who struggle just to physically keep up with far more developed athletes that they should have no business going up against. Another issue is players that have been held back a year for academic reasons. Although a player may be in 8th grade, he/she will likely be ineligible to play youth lacrosse, yet he/she cannot play JV because he/she is not a member of the high school. On the flip side, there are academically gifted players that have skipped a grade which would make such a player a high school freshmen, still youth age eligible, but deemed ineligible for youth lacrosse due to school year. These are all of the issues we are facing in our lacrosse county rec league here in the Florida Space Coast, the Brevard Lacrosse Alliance. I know that we are not alone in the state of Florida, hearing the issue raised among colleagues all over the state. I am certain that other states that are still emerging lacrosse markets are in similar predicaments. Thankfully, US Lacrosse at this time provides these guidelines as exactly that: guidelines. At this time, I have been assured by US Lacrosse, that tweaking the guidelines for the unique needs of the individual programs will not at this time affect our liability concerns as it pertains to program insurance obtained via US Lacrosse. Also, this really is only an issue at the 14U level and seems to work just fine for all younger divisions. Our ultimate policy in being a club that feels strongly about following US Lacrosse guidelines as closely as we possibly can, is that we intend to follow US Lacrosse guidelines for every division with the exception of our oldest youth division. Our policy is to enforce the 14U age bracket with exceptions for the allowance of 15U age eligible freshmen that are not concurrently on a JV or varsity roster. Enforcement may prove challenging as our league grows, but by the time that becomes an issue, we are hopeful that with the growth of our numbers and more high school programs having thriving JV programs, the 14U age classification will no longer be as much of an issue. We remain grateful for US Lacrosse and their national leadership in the sport of lacrosse. We are also grateful for the flexibility in transitioning to strive to meet their guidelines. A lot of smart people with countless years of experience in the sport of lacrosse and sports science that work for US Lacrosse constantly debate these issues which gives us tremendous respect for their adopted policies. Posted on October 5, 2017 by DrLax. The anterior cruciate ligament is the major stabilizing ligament of the knee joint. It is one of the most common sports related injuries that leads to athletes losing significant time on the field and can be career altering. One in 3000 athletes will experience an ACL tear in general according to the Orthopedic Specialists of North Carolina. There are two types of ACL tears that occur in athletes, contact and non-contact injuries. Contact injuries lead to tear as the result of collision or impact, while non-contact ACL tears are the result of simple plant and pivot. It is the latter, the non-contact ACL tear, that female athletes experience at a rate 5 times greater than males. Females’ knees are more “turned in” (toward the midline of the body). Females’ knees are less bent when jumping and landing. Females jump and run with the soles of the feet in a more rigid position and directed away from the body’s center of gravity. Much of these differences, according to Steve, is the result of unique anatomical difference in the pelvic cradle of females that is designed to facilitate child bearing. In light of these findings, we not only have a better understanding of the answer to the question of why female athletes are so much more predisposed to ACL tears, but also have the ability to prescribe a solution. 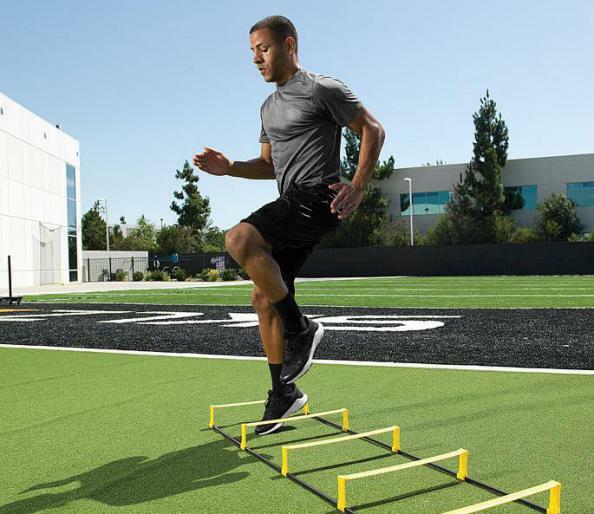 Even more exciting, the solution is not some new, outlandish, complicated, surgical procedure requiring months of recovery, but a comprehensive preventative rehabilitation program that can be performed by any athlete. In the lacrosse club that I preside over in my community, we are fortunate to have a girls coach that is a physical therapist by trade, whose main role is to warm our girls up and coordinate conditioning sessions designed to prevent ACL tears and other injuries. I believe it is in the best interests of any female athletic organization to have similar expertise in the management of injury prevention programs. Whether it be a physical therapist or a highly educated and experienced athletic trainer like Steve Jordan to integrate into an organization for this purpose, it is a worthy and justified investment that will prove priceless in keeping the girls safe. Posted on August 23, 2017 by DrLax. Although Holman and his teammates savored the championship win, it was a tough battle until close to the end. Behind distributor in chief, attackman Matt Kavenagh (who finished the game with 6 assists) drew defenders to dump to open teammates Eric Law and Wes Berg who easily finished with respective goals and gave the Outlaws a 10-6 lead with 5:25 left in the third quarter. Peter Baum provided the spark the Machine needed at that moment with with a goal at the 2:45 mark. He then followed that by assisting line mate Kyle Harrison, then finished with another goal off a feed from Mark Cockerton. Kavenagh would score twice to open the fourth quarter, but the rest of the game would be dominated by the Ohio Machine which included 4 consecutive goals by Marcus Holman (he would finish the game with 4 goals, 2 assists). 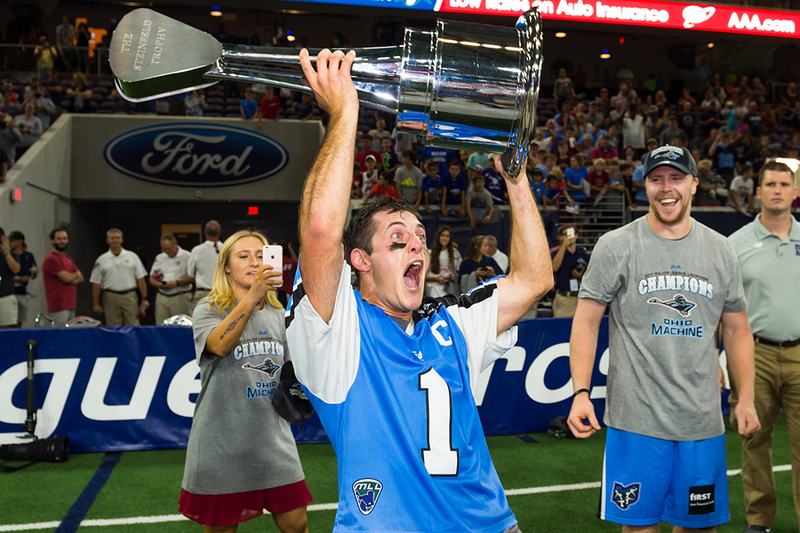 The final score was 17 – 12, capping off a great season, payback from falling short against Denver last year, and bringing the championship to Columbus, Ohio for the first time in Franchise history. Posted on August 16, 2017 by DrLax. My Lacrosse and Sport Podcast co-host and life long friend Steve Jordan and I recently had an informative interview with our mutual long life long friend, Dr. Brian Paris (episode in player above). Brian is a chiropractor that has expanded his knowledge and technical expertise throughout his impressive career, recruited the very best talent representing a vast diversity of medicine, and combined them in his integrative Pain and Arthritis Relief Center in Rockville, Maryland. I would encourage my readers to give the episode a listen, especially those who either themselves suffer from chronic pain or have child athletes that may have chronic injuries or conditions that cause pain and interfere with their quality of life and enjoyment of sports. Even the healthiest of young athletes will experience at least minor injuries on occasion. Even the mere act of simply growing can cause pain in young athletes that leads to down time, as seen in cases of Sever’s Disease and Osgood-Schlatter Disease. A victim of a gastrointestinal ulcer from taking anti-inflammatory medication as a child athlete, Brian and practitioners like him seek treatment modalities that relieve pain and heal without negative side effects as some medications can cause. In my conversations with Brian and upon review of his center’s website, two key approaches in particular stuck out to me with regard to the scope and readership of this blog. The second therapeutic approach is for specific sports injuries like tendonitis, bursitis, muscle and ligament strains/sprains, etc. Brian’s practice applies an approach they call RICE (Rest Ice Compression Elevation) while also correcting postural deficiencies in the athlete that may be predisposing the body to these injuries. Brian and his team’s approach to pain and arthritis relief reminds me a great deal of a similar branch of my field of veterinary medicine called “veterinary rehabilitation.” As an integrative veterinarian, while I always seek minimally invasive and side effect free courses of therapy, we also understand that there are some cases that require surgery. A CCL tear (the veterinary equivalent of an ACL tear) will not never heal without surgical intervention. Thus, one of the most important tenants of veterinary rehabilitation is “if it is unstable, send it to the table.” As a result, in the same day, I may surgically reduce a fracture, repair a CCL tear, use my Class IV therapy laser, and perform acupuncture. 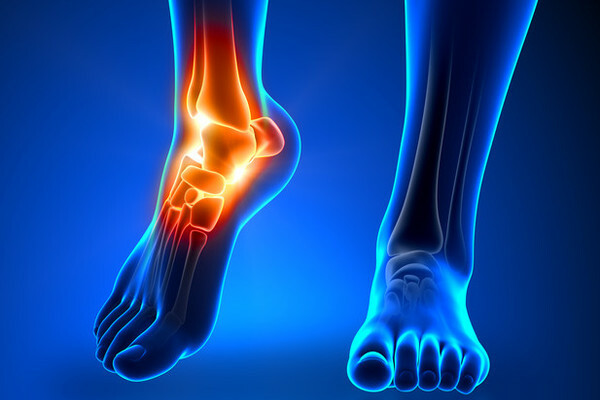 With the exception of ACL tears, compound or displaced fractures and other injuries that necessarily require surgery at least in the first phase of treatment, I would encourage anyone who lives with chronic pain of musculo-skeletal or neurological origin to seek out facilities like the Pain and Arthritis Relief Center in Rockville, Maryland. While it benefits people of all ages to minimize dependence on medications, it is especially important for children try avoiding drugs with internal organs are still developing. Posted on August 7, 2017 by DrLax. In my article immediately preceding this one, I wrote of the dynamite summer Pro Camp that a team of professional lacrosse players, college assistants, and my long time friend, celebrity trainer (and former NJ All-State Midfielder) Steve Jordan put on for our Space Coast lacrosse community. 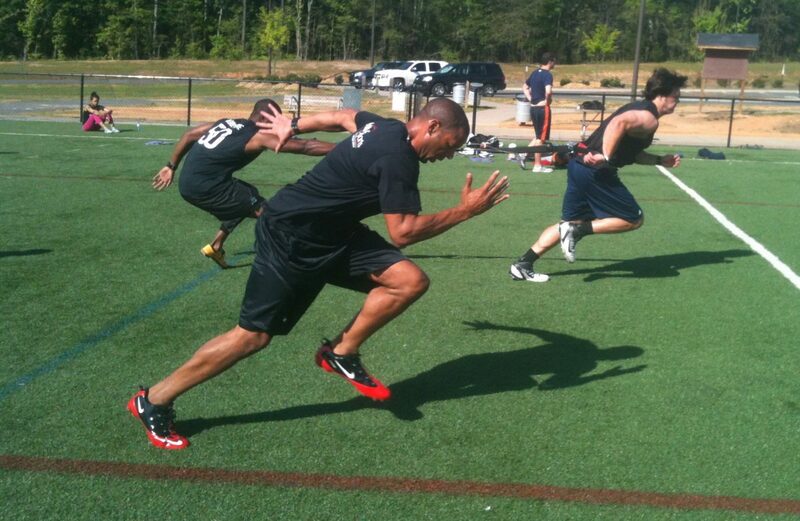 The main objective Steve brings to the camp is the strength, speed, and agility portion. This year, Steve came with two very novel concepts. The first was a 6 weeks pre-season lacrosse specific training program he calls LaxFIT. Even more uniquely, it is attainable (for an incredibly reasonable price) via online video training modules that the user logs into and completes the program on their own schedule on their own time. 1.) The program is all high intensity interval training that does not require special equipment purchase. 2.) The movements and program are designed specifically for the physical needs unique to a male or female lacrosse player. 3.) It is a day by day 6 week recipe for lacrosse players of all ages to ready themselves for their upcoming lacrosse season. 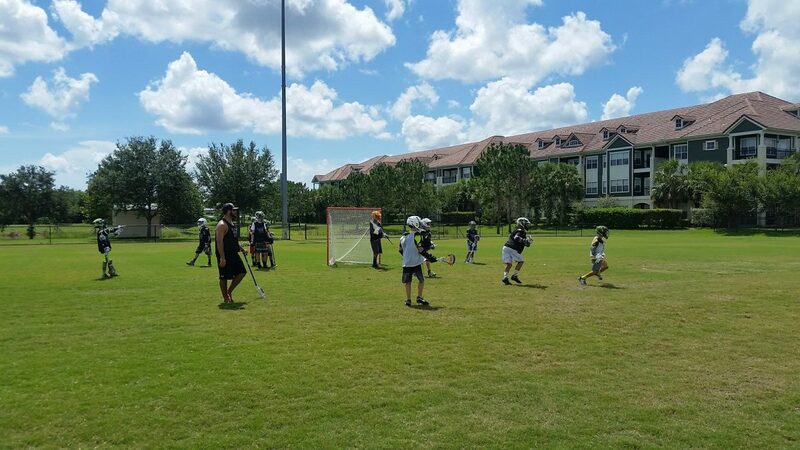 A Summer Lacrosse Pro Camp For The Ages! Posted on July 20, 2017 by DrLax. In the Florida Space Coast that I have called home since 2004, lacrosse is still in its relative infancy and still in the stage of emerging sport. 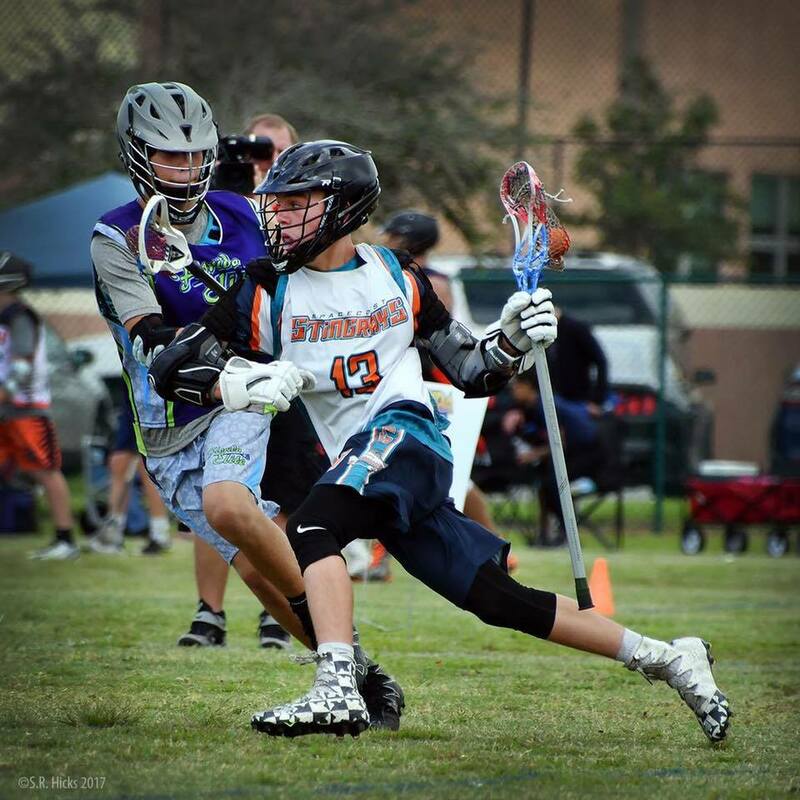 Nonetheless, growth has been steady since its inception in 2008 with a youth lacrosse club of 300 kids and growing, 11 area high schools with lacrosse programs, and two college lacrosse programs (Florida Tech and East Florida State College). For the third year, we have partnered with professional lacrosse players, Ray and Brian Megill (now also professional lacrosse coaches within their Performance Sport Systems youth athletic training and development company) and former Division I women’s college (St. Joe’s) lacrosse standout and current college lacrosse coach (Rowan University); to put on 4 day summer camps for our local youth and high school lacrosse athletes. Participation has increased each year, this year totaling 82 boys and girls. It is an incredible sight for me who witnessed a community in 2004 that by in large had never heard of the sport of lacrosse, to have just experienced 82 boys and girls from 2nd to 12th grade being trained by lacrosse coaches of the highest caliber. The excitement for the sport and the benefit this brings to our players is immeasurable. As a lacrosse coach, year in and year out when these outstanding ambassadors of the game visit our community to work with our kids, I never cease to learn something new that I bring to my teams, from drills and techniques to modern approaches to the game that the evolution of the game have necessitated. I am not alone out there soaking in all of the excitement and knowledge that these coaches bring to the Space Coast lacrosse community. Many other moms and dads, some coaches, some not; take off of work to watch the 4 hour long camp each day. An experience like this uplifts the whole lacrosse community and gives lacrosse a main stream feel for the relative minority of us that have embraced the sport. Unique to this year, with the camp’s growing numbers, the Megill brothers enlisted the help of local college players that are currently home on summer break. Former local high school lacrosse stars Dylan and Quinn Lowdermilk (both currently play for Florida State University) and Garrett Arnold (currently plays for Jacksonville University) were out there assisting the pros, already feeling their own pull to give back and pay it forward at such young ages. This only sets the stage for these young men to graduate in the near future, return home and be part of the next generation that will grow and nurture lacrosse locally. This is how a lacrosse community is built. It starts with a small group of people that introduce the sport that they love and watch it slowly encourage others to not only participate, but join in the effort to grow the sport. The kids that embrace the sport and fall in love with it one day return to their communities as adults and parents to pay it forward and continue the effort. That is what occurred in my home town of Clark NJ where it was one man, James Carovillano who brought lacrosse to our town in 1968 before I was even born. So many of us that he coached are now ourselves parents coaching and promoting the game, some back in our home town of Clark, NJ, others in other corners of the country like the Florida Space Coast. The Megill brothers, also from Clark, NJ, reached the level of professional lacrosse players in large measure because of the efforts of Mr. C (what all of his players affectionately called him) long before they were born. The first time I met Brian Megill was in 2014 when we were both playing in our high school alumni game. Mr. C was at the game officiating it. I hope one day he can make his way down to the Space Coast to see the camp that he played a role in creating. Posted on June 26, 2017 by DrLax. Having just wrapped up the summer tournament season (my 8 year old son playing in the U11 division and me having coached a JV high school club team), I am compelled to reflect how fall and summer lacrosse tournament seasons are a great modern evolution of the great sport of lacrosse. I so wish this existed in my youth and high school playing days, because it has grown to be one of the most exciting and fun aspects of being a lacrosse player. While a player is forced to play for a particular coach for a particular middle school or high school team during his or her spring season, fall and summer tournament seasons offer players the opportunity to experience different coaches and playing with different players. This diversity of experience and freedom to choose a particular team and coach is mentally beneficial to the innate free spirit of most lacrosse players, while enabling a player to experience different coaching philosophies that they may grow from. The full weekend tournaments draw the best club teams from all over a given state. In my home state of Florida, that includes teams that may travel from as far as a 6-7 hour drive and given the destination aspect of Florida as a tourist state, the tournaments even commonly draw teams from out of state. The result is a given venue whose area hotels are sold out with lacrosse families, restaurants are full of lacrosse players and lax families, and while teams may come from all over, there is a feeling of connection among the players and families created by the common bond of the sport of lacrosse. When at these tournaments, one cannot turn one’s head without seeing lacrosse sticks, lacrosse gear, and lacrosse apparel. The running clock playing two 20-22 minutes halves creates a rapid pace of play that places a sense of urgency to strike as early and often as possible. In this style of lacrosse, getting in a hole early can be very difficult to climb out of in comparison to the regular season with 4 quarters of play and constant stoppage of the clock during dead ball situations. If you win there is not much time to celebrate having another game to play usually within an hour. If you lose, you need to have a short memory because you have little time to shake it off and try again in the next game. Most tournaments guarantee 4-5 games in a weekend. Thus, it is not uncommon to play 3 games day one, 2 games day two, and possibly a 6th on day two if you advance to the finals. It is a mental and physical grind where only the most conditioned and skilled players shine. Most clubs play a 3 tournament season over a 2 months, one month to practice and build chemistry with players from multiple programs many of whom have not played together, then the second month to knock out the tournaments. This past season, for example, that translated to my boys having played 15 games from lat May to mid June over a 3 week period. Whether playing youth or high school, the quality time spent with your child at these events is incredible. Travelling together, staying in hotels, and going out to dinner with teammates and other team parents creates beautiful quality time among families. Cheering your children on all weekend as they play their hearts out in the game they love reinforces in them that we support them and are behind them 100%. 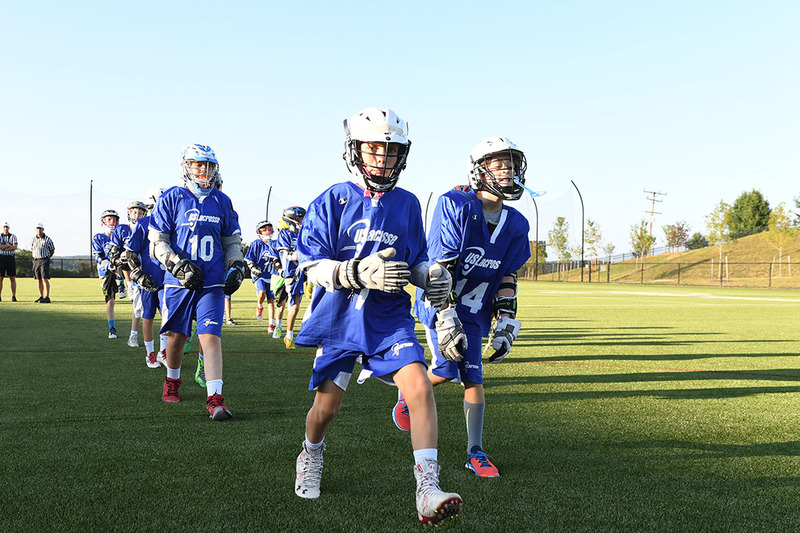 The summer and fall lacrosse tournament seasons have been a very positive development for the sport. It provides an unparalleled diverse and exhilarating experience for lacrosse players that binds them to the sport in a very special way.